So I’m finally getting used to using OS X after about a year. I spent a lot of that time shouting at my Macbook Pro for not being able to do things I consider to be mandatory. So to save others the hours of hassle and frustrated shrieking, I’m writing a series of (hopefully) useful posts to guide unwary travellers along the path of the Mac. 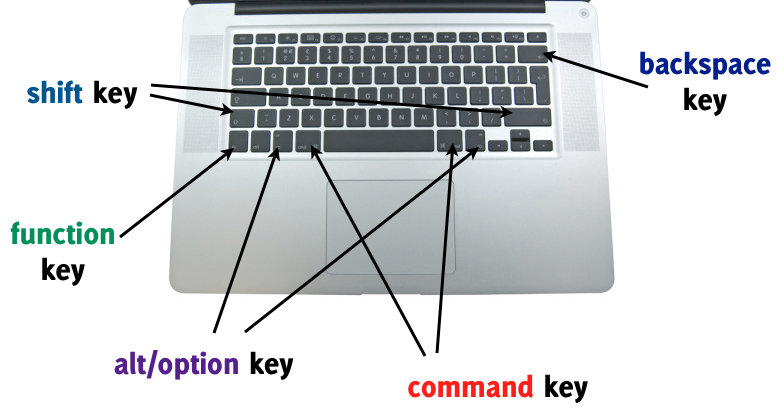 The main differences between a Windows keyboard and a Mac keyboard are, a.) ctrl is no longer a main player, and b.) there is no delete key. for selecting separate multiple items. Yes, probably obvious to most Mac users but I spent quite a long time feeling annoyed at the lack of this button. You have 2 options, you can either a.) 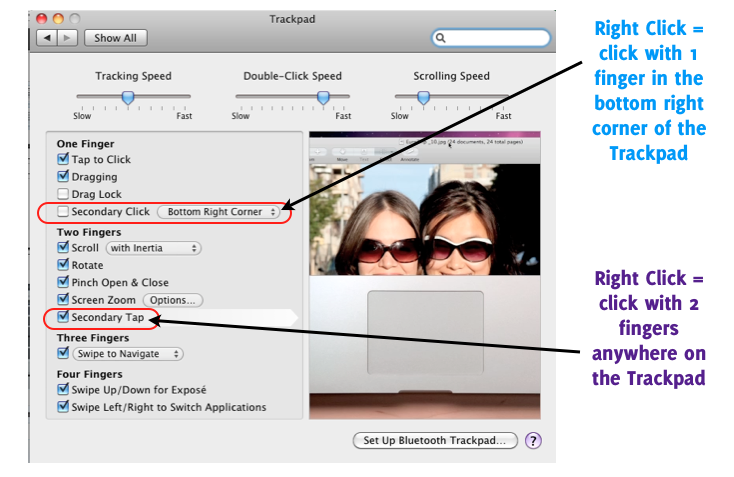 choose to click with one finger in a specific location of the Trackpad or b.) tap with 2 fingers anywhere on the Trackpad. Depends what you prefer. I think it’s easier to take the second option as you can tap or click anywhere on the Trackpad.